We recommend you make your hotel reservations as soon as possible as hotel rooms are limited and always sell out early. 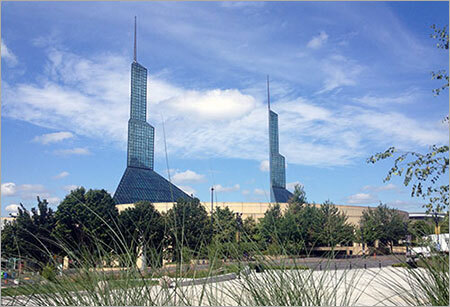 For affordable & convenient transportation from the Portland International Airport (PDX) to the hotels and Convention Center, hop aboard the Airport MAX light rail "Red Line." Hours of operation vary, but all MAX lines run every 15 minutes or better most of the day, every day. Fares are required throughout the MAX system, so Travel Portland will be providing OSCON attendees (excluding Expo Hall Plus Pass holders) with complimentary MAX light rail pass, good for free rides for the entire week of OSCON (July 16 - July 19). 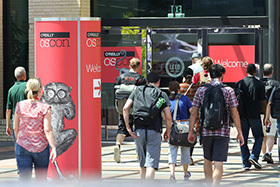 You will receive the MAX pass when you check-in and pick up your OSCON badge onsite at the Oregon Convention Center. Should you choose to make travel arrangements independently, you may go to the Hertz Interactive Reservation System to receive the special O'Reilly discount on rental cars for the event. Or call Hertz Reservations at (800) 654-3131 and mention code CV#01XY0044.